Every year I come up with something fun for my kids to make for Valentine’s. We’ve decorated pudding cups and applesauce pouches and so many other things. This year when I saw the NEW HERSHEY® Lava Cake KISSES chocolates, I knew these needed to be in our Valentine’s Day treats. I just love giving homemade valentines. They take some extra effort, but that just shows someone you care. Have you seen these NEW HERSHEY® Lava Cake KISSES chocolates? You bite into the deliciousness of liquid rich, creamy chocolate just like an actual lava cake! They are so good! You can find them at Walmart, along with everything else you need for Valentine’s Day. Walmart is the one-stop shop for all things Valentine’s Day! Years ago when my brother got married, his wife made these adorable little rosebuds from HERSHEY® KISSES chocolates . 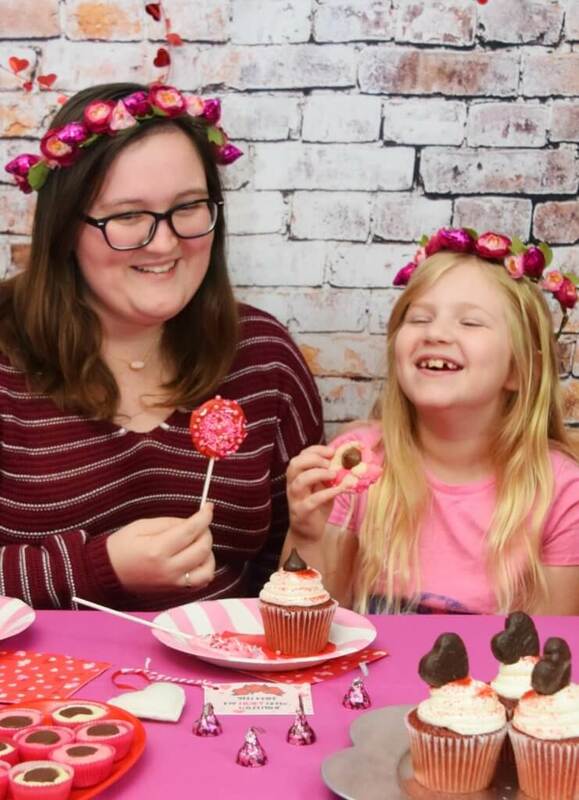 When I saw the HERSHEY® Lava Cake KISSES chocolates , I remembered the rosebuds I knew they would be so cute made into flowers and then turned into flower crowns for my girls to give their friends. 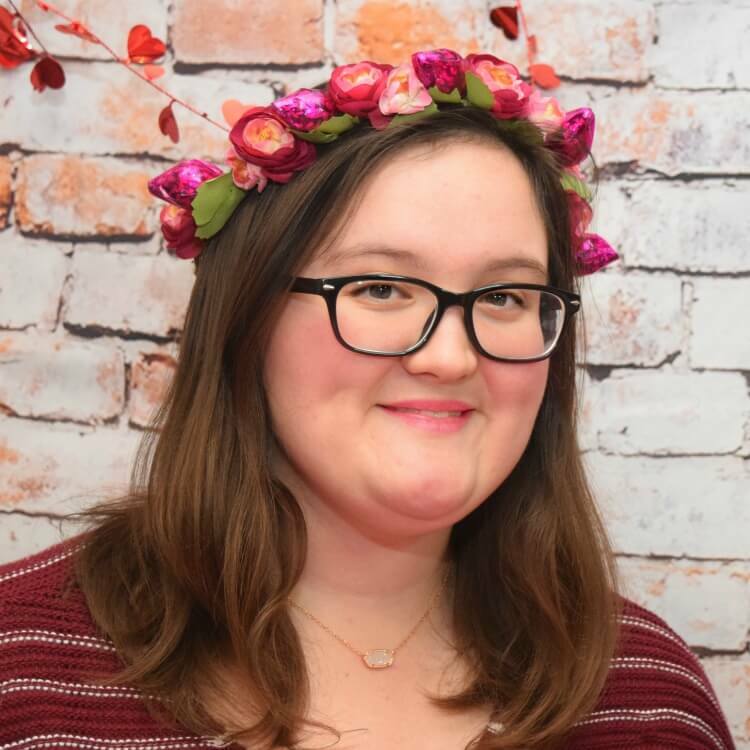 These crowns make perfect little place settings for a Valentine’s Day or Galentine’s Day party, too! 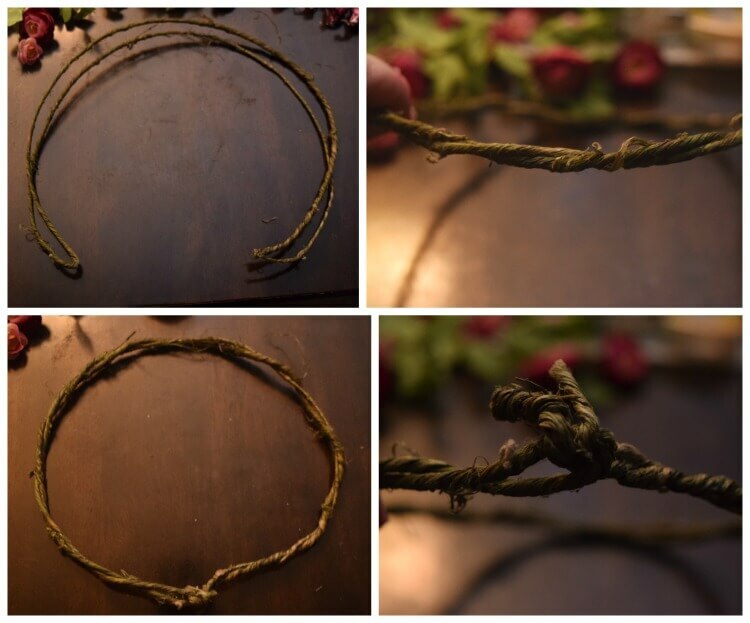 Scroll down to the end of the instructions to get free Valentine printables to go with the flower crowns. 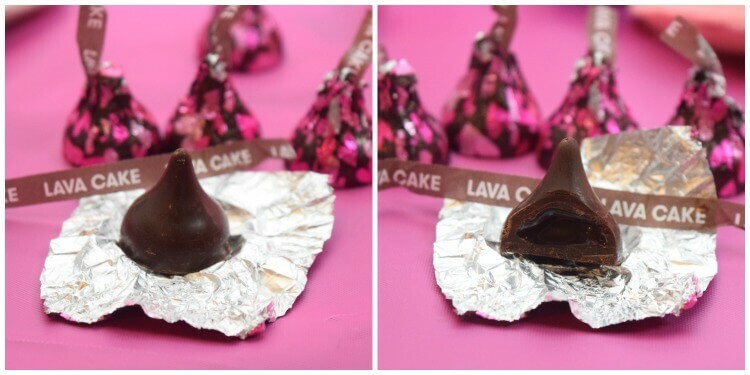 Put double-sided tape on the bottom of one HERSHEY® Lava Cake KISSES chocolate and then stick the bottom of a second one to it. Cut a few 5 x 5 inch squares of cellophane wrap. I cut 5 for one crown. Take one square of cellophane and put the double HERSHEY® KISSES chocolates in the middle of it and fold over the cellophane. Then, wrap the cellophane around it. 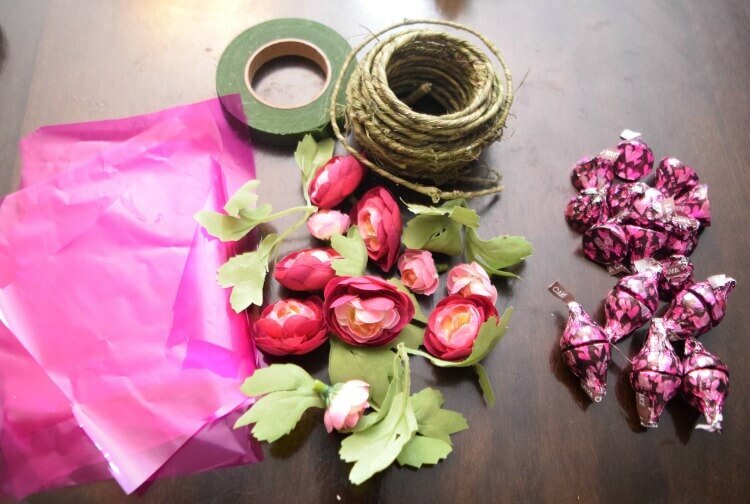 Take the floral tape and just under where the cellophane is gathered, wrap it tightly. Cut off the excess cellophane right to the floral tape. Measure your head and measure out that length and give about an inch excess in the grapevine. Before you cut it, measure out a second length and fold it over so you’ll have two pieces. Twist the two pieces together all the way around. Insert the raw edge into the loop and twist it together closed. This also makes it easy to adjust when it’s time to wear it. 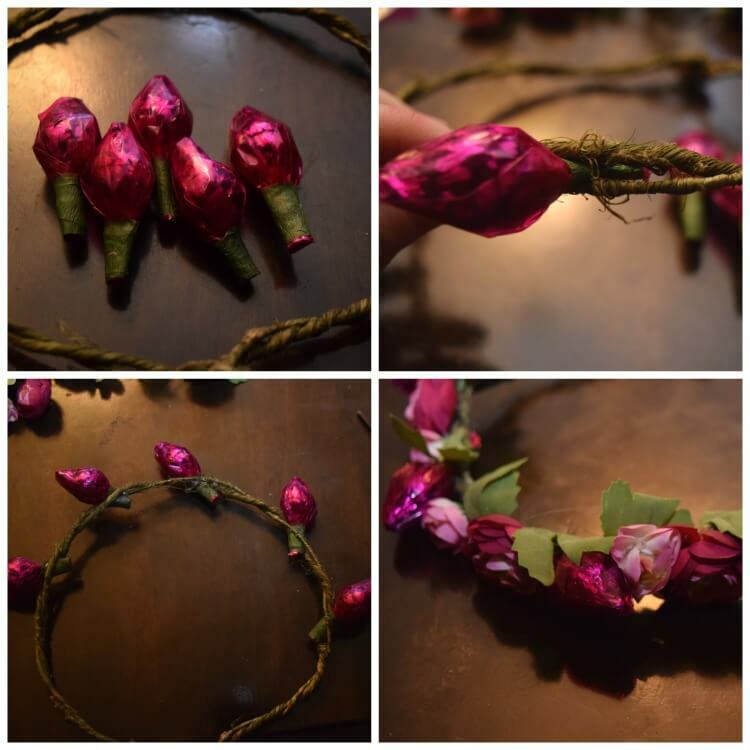 I make 5 candy rosebuds for each flower crown. Find the front of your crown. I make the very front halfway from where I tied the crown together. Then, plan out where to insert the candy. I space it just as above in the photo and turn them all one direction. Next, remove the small flowers from the stems of the fake flowers. 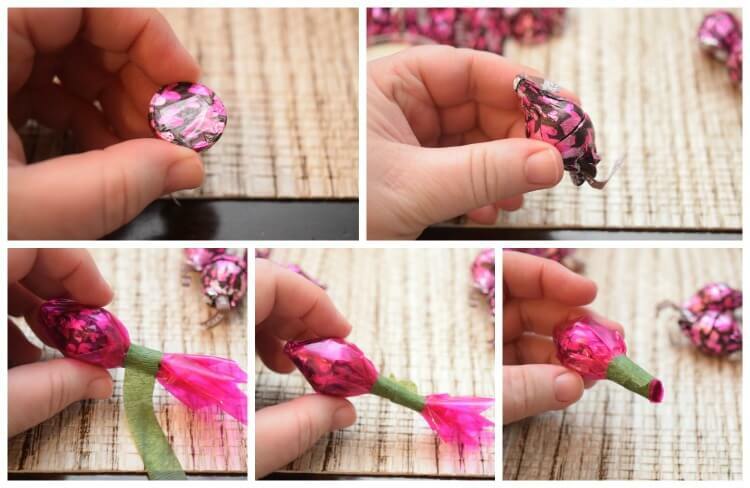 Using hot glue, add a few flowers and leaves around and between the candies. Look for big open spaces between the candies to fill in with flowers. This is how it looks in a side view. I just love these little crowns! 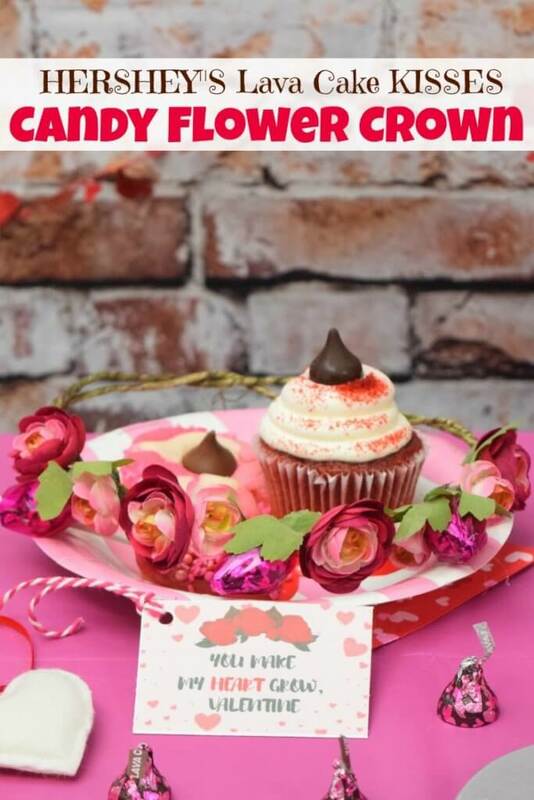 I’ve made free printable Valentines to attach to your NEW HERSHEY® Lava Cake KISSES chocolates Floral Crowns to give to friends or to use as place cards for a Galentine’s Party. Download the valentines. They are perfect for a craft to do at a Galentine’s party or a Valentine’s Day crafty day with teens. I’d recommend ages 12 and up since you need a hot glue gun. These are so fun to make! 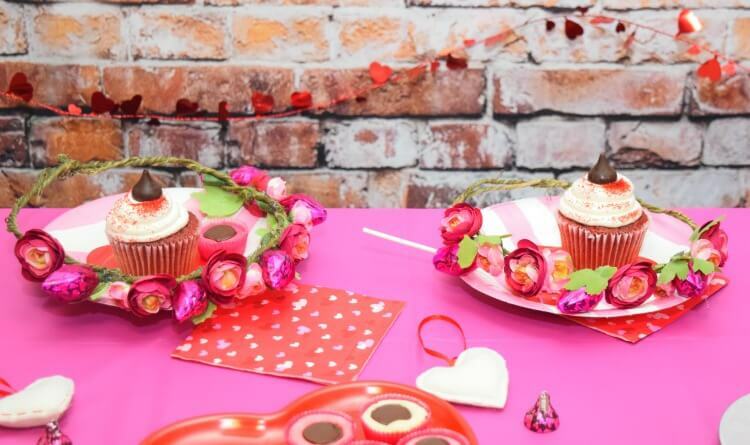 Grab a bag or two of HERSHEY® Lava Cake KISSES chocolates from Walmart, along with all of your other Valentine’s Day supplies, and get creative for your Galentine’s Party! Oh my gosh, that is so adorable. I really love this. I’ll have to give this a try. How adorable!! 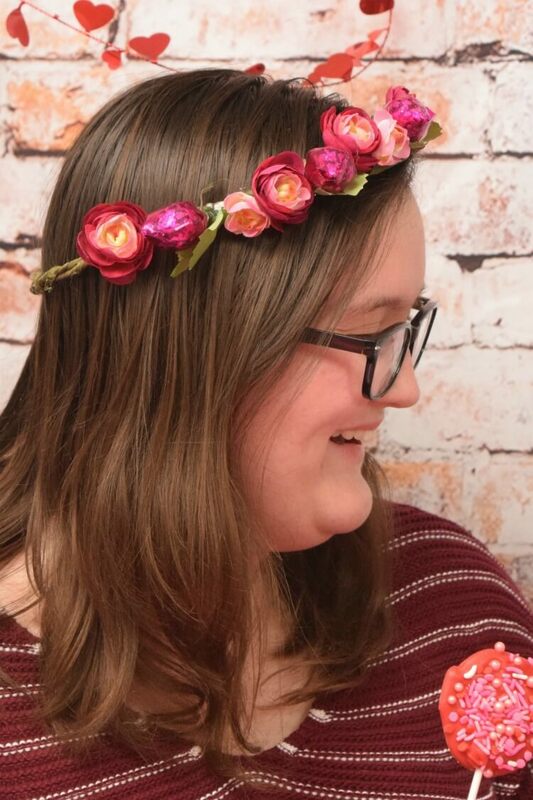 I love how romantic those floral headbands are! This is such a beautiful extra gift to go along with the Valentine’s treats! 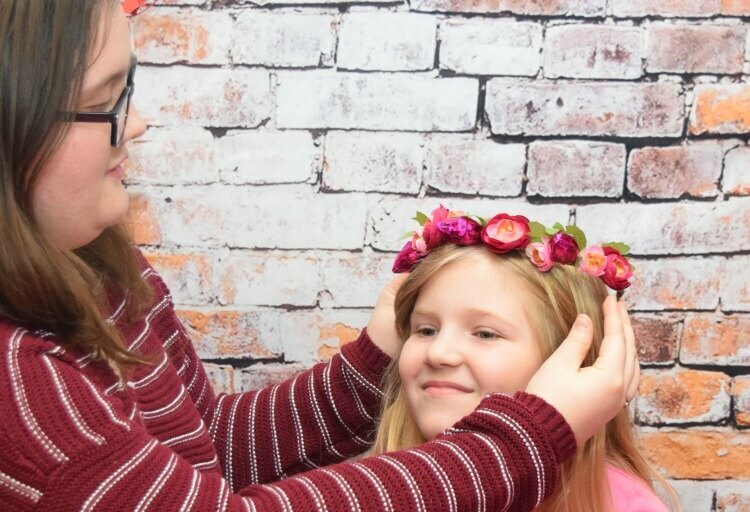 I’d love a little party with some flower crowns. Super cute! My girls would really love these. I think I will make them some to go with their KISSES. Love the idea and how cute it looks! My family would love these! Can’t wait to make it! 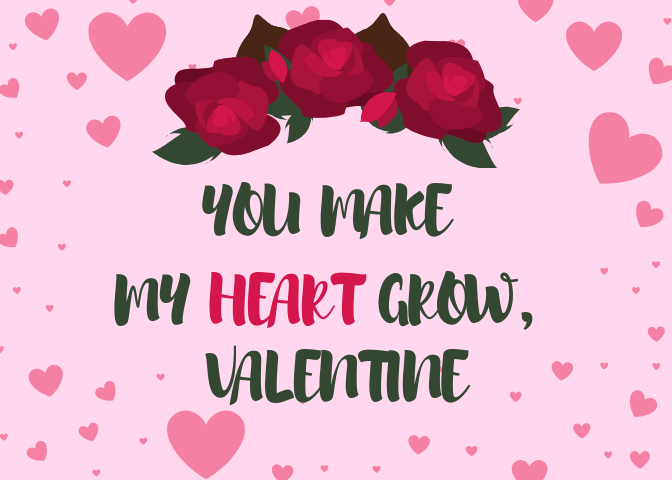 I love all the creativity with pink and red for Valentine’s Day – it’s such a sweet holiday to celebrate. Love the flower crown idea but totally need to find these lava cake kisses! Too cute! My daughter would love making this crown. Looks like a fun craft to do. These are so adorable! This would be a perfect craft activity to do with the girl scouts!